Before entering the locker room, McNary head boys basketball coach Ryan Kirch stopped to compose himself. This loss, 61-41 to Tualatin in the second round of the playoffs, clearly meant more. 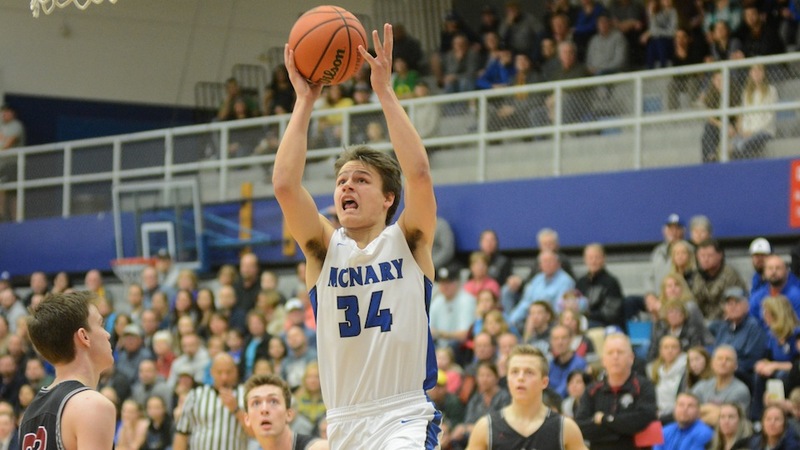 After a back and forth first half with five lead changes, McNary senior Lucas Garvey knocked down a 3-pointer to give the Celtics a 29-25 lead with 6:55 remaining in the third quarter. But McNary didn’t score again in the period as Tualatin went on a 16-0 run. McNary was also plagued by foul trouble. Garvey and Andrew Jones both picked up their second fouls in the first quarter but were able to get to halftime without getting called for their third. Garvey got his third foul with 5:29 remaining in the third period, just before the Timberwolves went on their run. Chandler Cavell picked up his third with 7:01 remaining in the game and his fourth less than 10 seconds later. Garvey was then called for his fourth 3 seconds later. With McNary trailing 41-31, both stayed in the game. Garvey, after making a 3 and then a steal and layup to keep the Celtics within 47-38, fouled out with 4:30 left to play. Cavell then followed with his fifth foul with 3:29 remaining. Riccardo Gardelli made a 3 to get McNary within 49-41 with 3:19 remaining but Tualatin went 8-for-8 from the free throw line in the final 3 minutes to finish off the Celtics. Garvey finished with 14 points. Jones had seven and Cavell added six. McNary has lost in the second round of the playoffs four years in a row and hasn’t advanced to the state quarterfinals since 2004. After the game, Kirch told his players to remember all the good times this season. Kirch also told the Celtics to leave with their heads held high. The Hop Jack’s in Keizer Station has set its opening date for March 26. Hops Jack’s serves a wide variety of pub fare with a an emphasis on cold beer and icy drinks, but the corporation behind the food has a much bigger vision, said Kevin Eggen, a Hop Jack’s manager and son of the company founder. “We sell burgers and fries and ice cold beer and icy drinks, but we call ourselves a development company,” Eggen told the Keizer City Council Feb. 20. Eggen was in town to talk about the restaurant as the council prepared to recommend approval of a liquor license to the Oregon Liquor Control Commission. Eggen also offered details on the five fingers of Hop Jack’s “helping hand” business practices. For every drink and kids meal the restaurant sells, 50 cents is donated to a Good Neighbor Fund or a Kids Feeding Kids program, respectively. The Good Neighbor Program offers assistance to employees and community members who are struggling financially. Eggen said the fund amassed $80,000 last year that helped individuals cover expenses ranging from rent to funeral costs. The Kids Feeding Kids program donates to local charities and groups providing meals for students. “I always tell customers that they can come in and have a beer and they don’t have to tell their spouse or significant other that they were out drinking. They can tell them they were donating to charity,” Eggen said. The restaurant also offers takeover nights in partnership with groups looking for a fundraising opportunity. For a three-hour period, Hops Jack’s will donate 20 percent of its net sales to the cause. Hops Jack’s also partners with Pepsi and the makers of its Bloody Mary mix, Demitri’s, to offer scholarships for employees looking to advance within the company or elsewhere in the restaurant industry. “A lot of people in our industry don’t go to college, they come up through the restaurants and we try to help them attend college or culinary school. If an employee wants to be a server – and be a great server – we can do that for them, but we also want to help people grow if they want to do that,” Eggen said. The last “finger” on the helping hand is volunteerism. Eggen said the business encourages employees to go into schools and read to students, participate in the Relay for Life or simply walk dogs at the Humane Society among other labors. Washington-based Hop Jack’s was founded in 2009 and has already expanded to 17 locations. The Keizer location will be its second in Oregon. “As you grow, you can lose sight of that community and we want to focus on the communities that we are in,” Eggen said. 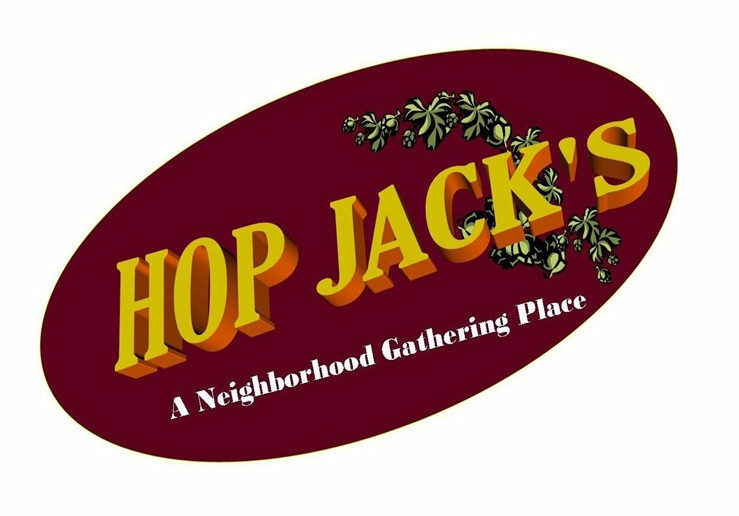 Hop Jack’s hours are 11 a.m. to 11 p.m. Monday through Thursday; 11 a.m. to midnight on Friday; 8 a.m. to midnight on Saturday; and 8 a.m. to 11 p.m. on Sunday.